Rejoice: The international home of McNuggets is now hosting wedding receptions. Packages range from $2,888 HKD ($373 USD) to $9,999 HKD ($1290 USD). We know you and your bae have a special place. If that place is McDonald’s, we have good news for you: the international home of McNuggets is offering wedding packages (and apparently has been since January 2011). The bad news? 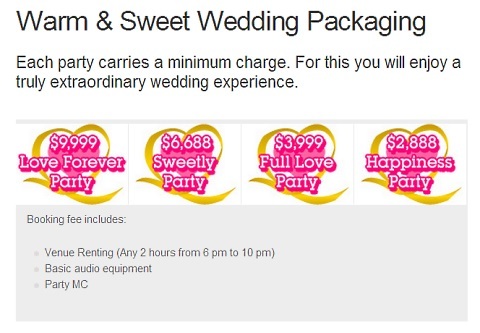 The matrimonial special is only happening in Hong Kong. Still, if you have a bunch of frequent flier miles saved up and you’re intrigued by this idea, you have a choice of wedding packages. McDonald’s Hong Kong lists four packages that range from $2,888 HKD ($373 USD) to $9,999 HKD ($1290 USD). 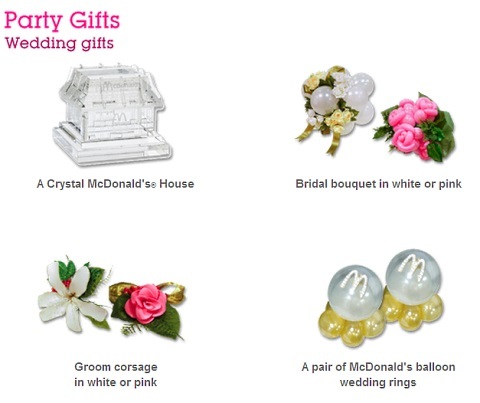 These packages all include things like decorations, wedding invitations, balloon rings, wedding favors, and even wedding gifts for the couple getting married. Of course, you can’t forget to give your guests a little something. Unfortunately, it seems that this classy wedding cake made of individual Apple Pies is just for show. Boo! 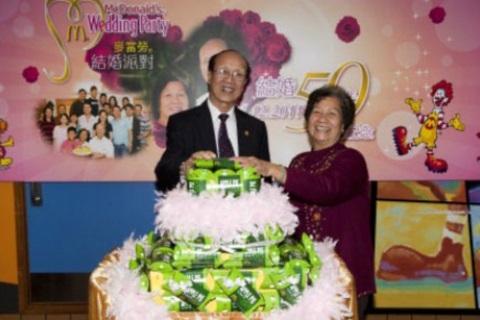 We don’t know if Mickey D’s HK will let you bring your own real cake. But if they do, we found the perfect topper. We have to admit, it would be kind of cool to jump into a ball pit at your wedding. Is Mickey D’s HK BYOB? 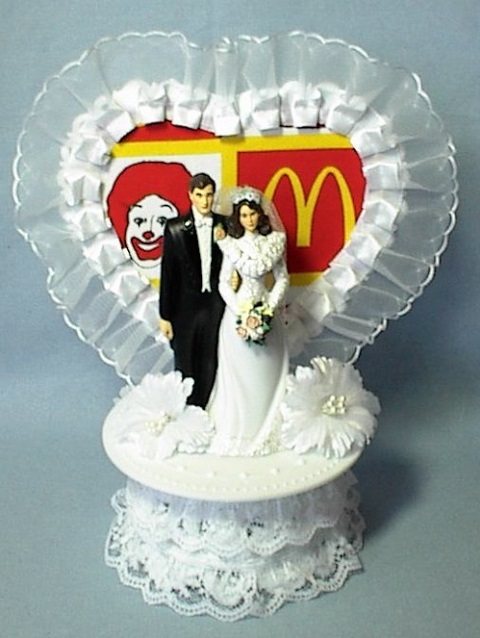 McDonald’s isn’t the first fast-food chain to offer weddings. White Castle has been doing it for years, and many other fast food chains have had occasional weddings over the years, too. Don’t forget your 50th anniversary, either. You can burn your mouth on insanely hot apple pie filling just like you did when you first got married.